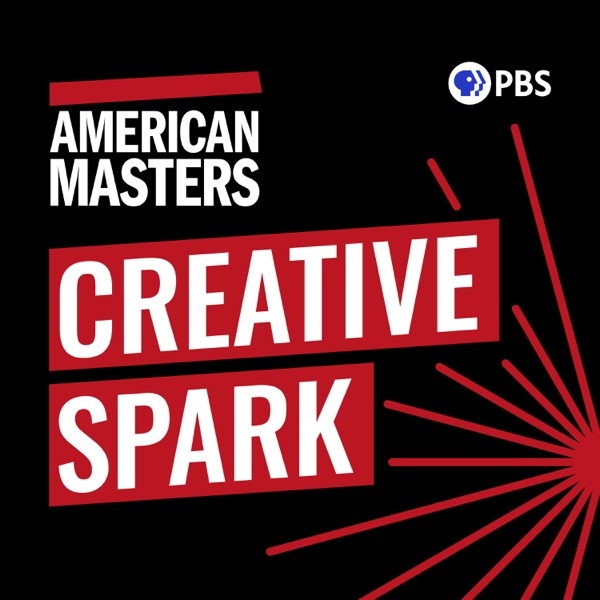 The American Masters Podcast features new interviews with contemporary artists and cultural figures, along with previously unreleased material from the American Masters series’ 30+ years of award-winning documentary films for PBS. Powered by PRX. Subscribe now! Josh Hamilton speaks with actress Lois Smith about how she got her start and the many inspiring figures she’s worked alongside during her decades in film, TV and theater. Forging an enduring legacy, Smith’s film and TV roles include “Lady Bird,” “Twister,” “Minority Report” “Marjorie Prime,” and True Blood. She’s earned Tony Award nominations for her roles in “Grapes of Wrath” (1990) and “Buried Child” (1996) and is a member of Chicago’s Steppenwolf Theater Company. DeRay Mckesson discusses his debut book “On the Other Side of Freedom: The Case for Hope.” He talks about his early days protesting on the streets of Ferguson, Missouri, and the figures who have inspired him to take action. Mckesson presents an intimate portrait of the Black Lives Matter movement from the front lines through personal memoir, and offers a meditation on politics, justice and freedom. Miranda July discusses how everyday connections, such as an unlikely friendship with her cab driver, can spark her creativity. She talks about some of her earliest works from childhood, explains her interdisciplinary approach to art and contemplates the double-edged nature of technology and social media. 26. Entertainer Sammy Davis, Jr.
Sammy Davis, Jr., boldly strove to achieve the American Dream in a time of racial prejudice and shifting political territory. “American Masters – Sammy Davis, Jr.: I’ve Gotta Be Me" director Sam Pollard, writer and co-producer Laurence Maslon and executive producer Michael Kantor revisit some of his biggest controversies through rare interviews with Davis conducted by his biographer Burt Boyar. Bo Burnham is a comedian-turned-filmmaker who first found fame self-publishing bedroom performances to YouTube. He recently explored that personal experience by writing and directing his debut film, “Eighth Grade.” Josh Hamilton acted in the film, and speaks with Burnham about identity, coming of age in the era of social media and more in a wide-ranging conversation. You’ll also hear from one of Burnham’s comic inspirations, George Carlin, in an exclusive outtake from the PBS series Make ‘Em Laugh: The Funny Business of America (2009). Sneak Peek – New season begins February 20th! Listen to a preview of what’s to come on Season 3 of the American Masters Podcast, featuring new interviews with artists and cultural figures including chef and restaurateur David Chang, activist DeRay Mckesson, artist Miranda July, comedian-turned-filmmaker Bo Burnham and more! Led by co-producer and actor Josh Hamilton, hear from the people who are changing the way we think. Young women entrepreneurs today can find inspiration in the story of Hollywood star Hedy Lamarr. In her time, she was known as the Most Beautiful Woman in the World, but it was her groundbreaking work as an inventor of a secure communications system that has turned her into a legend. Recorded live at the Whitby Hotel in New York, host Michael Kantor moderates a panel including Academy Award-winning actor Susan Sarandon, Rutgers professor and IEEE fellow Emina Soljanin, and filmmaker Alexandra Dean, as they discuss Lamarr’s legacy. Co-executive produced by Sarandon, and directed by Dean, with major support by the Alfred P. Sloan Foundation, “American Masters – Bombshell: The Hedy Lamarr Story” is streaming now at pbs.org/americanmasters and PBS OTT apps. “American Masters: Tyrus” filmmaker Pamela Tom interviews filmmakers/artists Robert Kondo and Dice Tsutsumi, who discuss their Oscar-nominated animated short “The Dam Keeper” and artist Tyrus Wong’s influence on their work. See their work and learn more about Wong in “American Masters: Tyrus,” premiering September 8 at 9 p.m. on PBS (check local listings) and streaming September 9 at http://pbs.org/americanmasters and PBS OTT apps. Host and series executive producer Michael Kantor sits down with Ruben Santiago-Hudson, director of August Wilson’s Jitney, which makes its Broadway debut this week at the Samuel J. Friedman Theatre. Santiago-Hudson discusses the impact that Wilson has made as one of the most prolific African-American playwrights of the 20th century. Tune in to your local PBS station for American Masters – August Wilson: The Ground on Which I Stand, which airs tonight, January 20th at 10 PM EST (Check your local listings). Comedian Hasan Minhaj, senior correspondent for The Daily Show, shares a personal story with legendary producer Norman Lear, recorded live at this summer’s New York premiere of American Masters – Norman Lear: Just Another Version of You. The documentary premieres nationwide Tuesday, October 25 at 9 p.m. on PBS (check local listings) and is available on DVD, Blu-ray and Digital HD from PBS Distribution. The poet Muriel Rukeyser once wrote that the Universe is made of stories, not of atoms. The American Masters Podcast brings you previously unreleased long-form interviews from the series' 30+ years of award-winning documentary films. Listen to host and series executive producer Michael Kantor preview just a few of the many enduring voices from our archive that have left an indelible impression on our cultural landscape. Come back soon to hear our first full episode and subscribe now!